My bahagian, atas 5 Aqua songs; which is your favorite? Do anda prefer Sorens new project, Lazyboy, atau Aqua? Aquarius atau We Belong To The Sea? Which of the two mainstream release albums do anda prefer? why don't aqua ever go to the united stats? How many album r there? 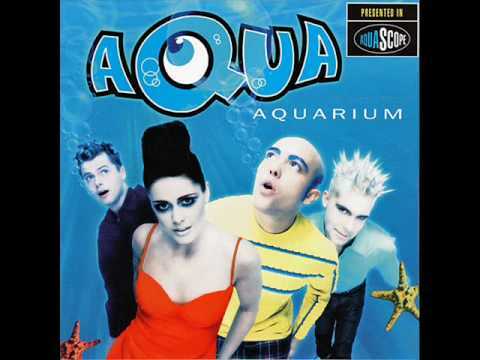 Here's the full sophomore album from Aqua titled "Megalomania". The album is splendid and all of the tracks seems not to be disappointed. The album contained 11 tracks includes the single, "How R U Doin? ", "Playmate To Jesus" and "Like A Robot". what ... only 1021 peminat-peminat ?! a poll telah ditambah: My bahagian, atas 5 Aqua songs; which is your favorite? a poll telah ditambah: Aquarius atau We Belong To The Sea? Finish the song, Freaky Friday things aren't going my way every thing is wrong. . . Check out my AQUA video!